Educational curriculum taught by experienced teachers plays a major role in a child’s overall growth. However, growth is not defined solely on the basis of grade pointers and percentages. Rather, it truly reflects in taking a step towards implementing the knowledge and education garnered from various resources for a greater purpose. On this line of thought, Atal Tinkering Labs (ATL) have been set up across various schools in India as a part of Atal Innovation Mission’s efforts at the school level. 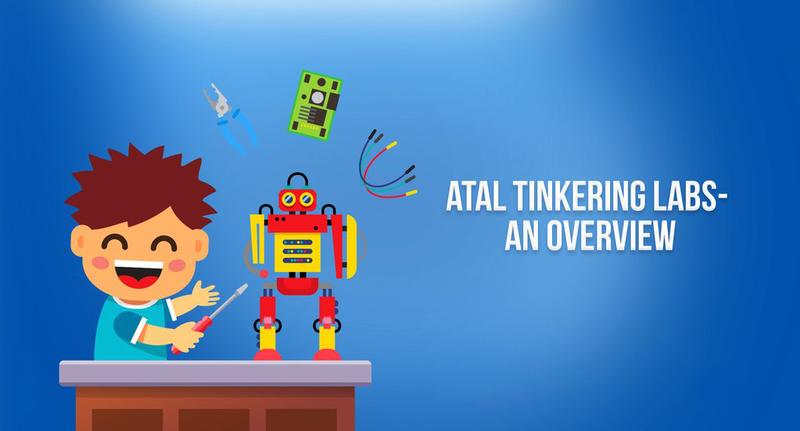 ATLs are dedicated workspaces within schools that offer ‘Do-It-Yourself’ kits of new-age technologies like Internet of Things (IoT), Robotics, miniaturized electronics, etc. The aim is to promote an innate sense of technology understanding and innovative approach within the students of Grade VI to Grade XII. Spreading exponentially with the objective to mark its presence in every state, ATLs have been set up in schools ranging from Kendriya Vidyalaya and Saraswati Vidya Mandir to private entities such as Ryan International School. Inculcating innovation as a regular addition in pedagogy, ATLs can spearhead the acceleration of a solution-based mindset among millions of students. Though the initiative is successful in introducing a much-needed change from the usual curriculum for the student, it further enables the little ones to think about how the problems of society can be solved via technology. In this manner, the student not only learns to empathize with societal problems, but feels a sense of responsibility and inspiration to make a difference from a young age. ATL Labs, as an initiative, has had substantial success in fueling the innovation, knowledge, and creative quotient of students across pan India schools. While students with no knowledge got exposed to a different way of looking at things, some individuals with pre-requisite knowledge about the technologies like IoT and circuits were able to develop promising projects. That said, the health (Swasth Bharat) segment of ATL Marathon featured a series of promising projects. Among those, a special mention was given to the Health Band developed by Ryan International School, Rohini that promoted healthy living by allowing an individual to check their fitness progress. In addition, the students of Ryan International School, Greater Noida, developed a project that helps towers in generating electricity for its operations via solar energy. Similarly, projects from other schools over the years have featured innovative solutions for prolonged issues like irrigation, electricity power, safety management, etc. The work and initiative could further bolster education’s utility to serve the nation’s progress as well as establish the curriculum’s efficacy in making change-makers and pioneers of the future. A step beyond conventional education, it is the initiatives like ATL and the student-school reciprocation that will help the project achieve its vision of cultivating one million children in India as neoteric innovators.